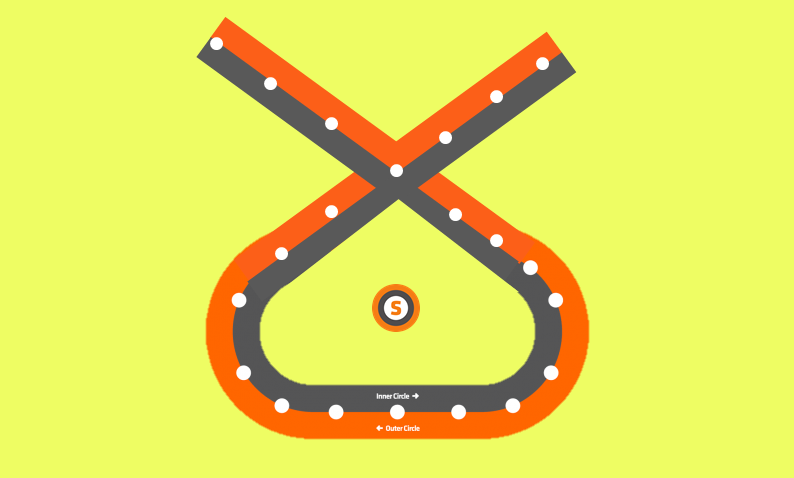 Can the SNP Really Extend The Glasgow Subway? The last time subways were such a hot topic in Glasgow politics was when Iain Gray got chased into the sandwich shop of the same name six years ago. 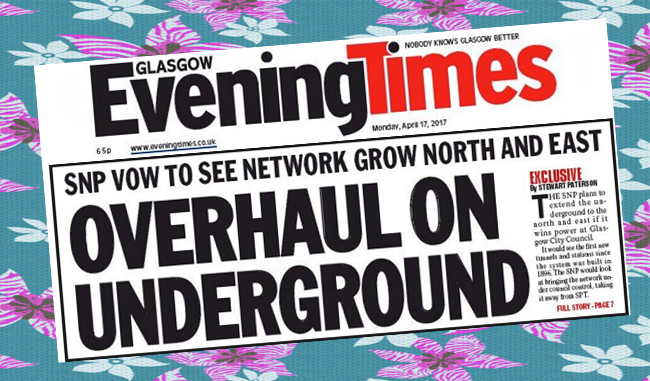 This time, it’s the underground network which is making headlines, following the revelation by the Evening Times that the SNP – if, as expected, they assume power in the City Chambers on 4th May – will look at “possible extension of the Subway” into the north and east of the city. And indeed, the party’s Glasgow manifesto says much the same thing – that they will “look favourably” on opportunities to expand the underground from its existing set-up that, since its opening 120 years ago, has only covered a small circle around the city centre. 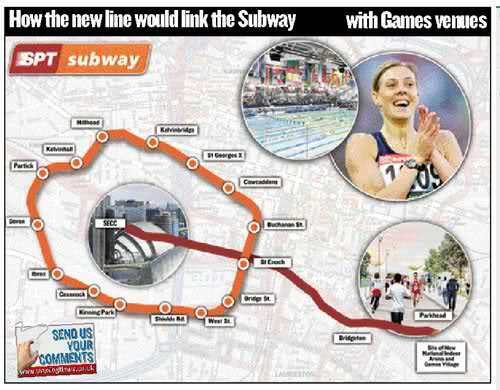 If it sounds like we’ve been here before… well, it’s only been a decade since the same newspaper revealed that an east end subway link was a “done deal before the 2014 Games”. The confidence with which that could be claimed was both a reflection of the city’s success at winning at the Games, just days before, and the heady pre-crash financial climate it was made in. Credit was cheap, half the country was a PFI construction site, and anything seemed possible. But after hundreds of thousands were spent on consultancy fees exploring two different ways of extending the Subway, the project was quietly ditched. In the end, “subway modernisation” came to mean little more than the refurbishment of existing stations. As this blog noted a few years ago when we asked “Whatever happened to the East End Subway Extention”, the transport projects brought forward ahead of the Commonwealth Games instead involved major road infrastructure, including the controversial M74 extension, while £11m was spent encasing Dalmarnock railway station in a glass box. But the clamour for an expanded Subway has never gone away, with few other ideas able to capture the imagination in such a simple way. While it’s easy to imagine (and many have, with varying results) the reality of expanding the Subway would be enormously complex. Tunnelling across the city and excavating new stations would not come cheaply. 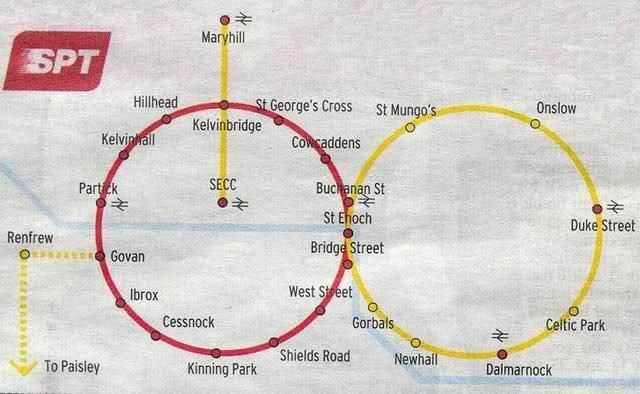 In 2007, two options were proposed by SPT, one utilising disused railway lines that would connect the SECC with Celtic Park, costed at £210 million, and the other a full eastern circle with adds ons to the SECC, Renfrew and Maryhill, coming in at £2.3 billion. The latter figure is comparable to the costs of a new 17 station circular line on the Copenhagen underground metro, proposed at a similar time to the Glasgow expansion but which the authorities there actually went ahead with. It will come into operation in 2018-19. 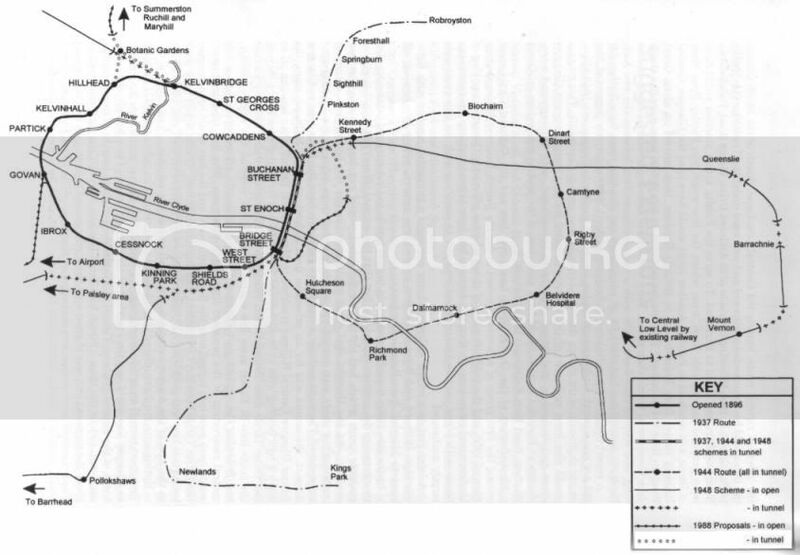 Expansion of Glasgow’s subway has been mooted as far back as the 1930s, and the city would likely have developed in a very different way if any scheme at that time or since had gone ahead. So can the SNP “City Government” (as they keep calling the council) be the administration that finally delivers on decades of unfulfilled promises? Superficially, it’s a populist project, although years of roadworks, construction sites across the city and (if the Edinburgh Trams are anything to go by) spiralling costs, could be less well received. The project would, however, be transformational in its impact, and the party has promised to look at “innovative funding approaches”, specifically issuing city bonds, as a source of finance. It is also very clear that if elected, the SNP executive will want to make an immediate impact with high profile initatives that mark a clean break from decades of Labour rule. But the SNP are, for all the indy chatter, still very risk averse and the real question is whether they will want to launch into a project that will likely require millions to be spent before any turf is even broken, putting their reputation on the line in the process. Even with bringing the Subway into the council’s domain, rather than SPT, its unclear if there’s the necessary capacity to push forward with the project, meaning large chunks of it would be pushed out to engineering consultancies taking hefty fees. If the project didn’t deliver, you can picture the headlines already. All policy making is a matter of priorities, and transport is no different. A certain number of people need to get from A-B every day and they will take the quickest, easiest and cheapest option going for them – or at least what they perceive to match that criteria. 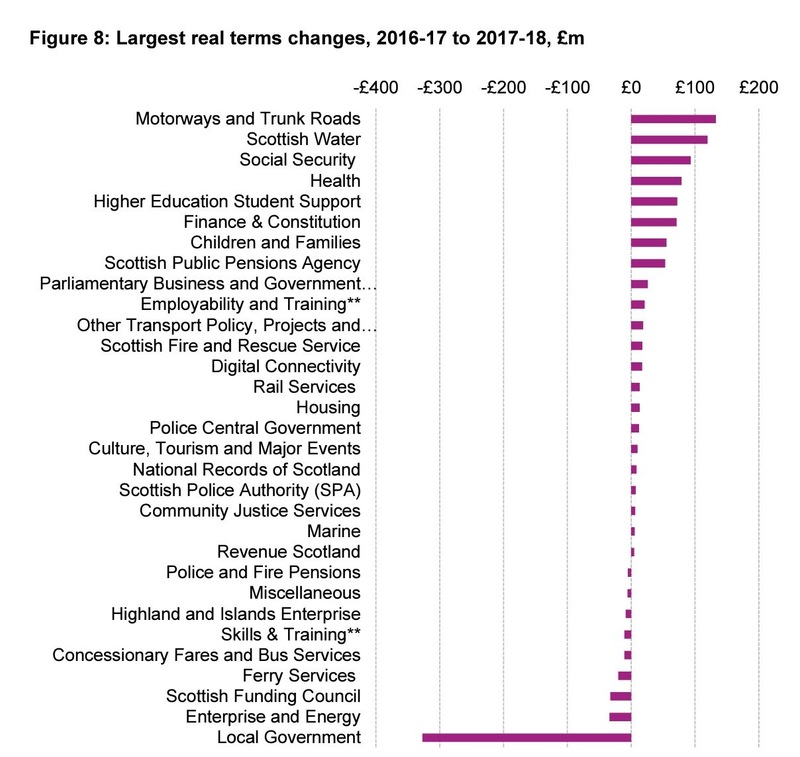 Transport priorities are set nationally by the Scottish Government and this year’s budget speaks for itself: motorways and trunk roads will see the largest increase in real terms spending of any area in which the Scottish Government spends cash. Indeed, as ATF had continually pointed out, the lack of investment in Glasgow’s public transport infrastructure over the last few decades has come at the same time as huge resources have been expended on growing a motorway and road network that dominates the city. 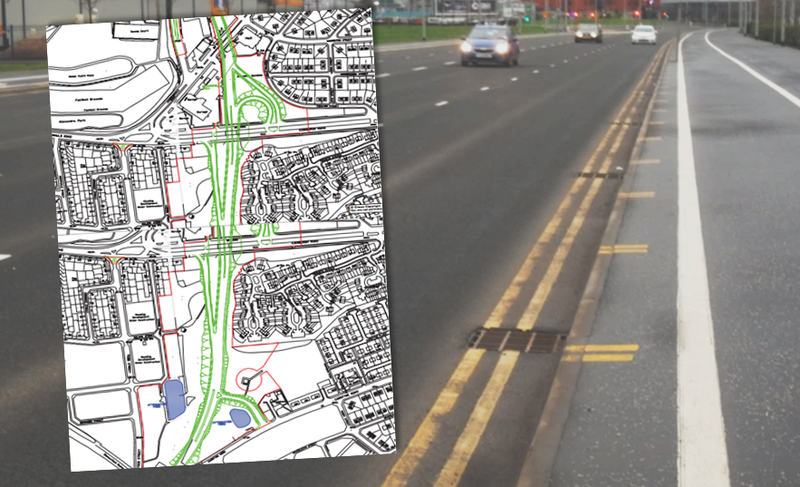 Last year, we reported that the Council were set to continue that trend, with upwards of £60m set to be spent on a one mile extension of the so-called “East End Regeneration Route” that will, once completed, connect up the M74 extension in the south with the M8 in the north of the city. It will drive a wedge through part of the city where 60% of households do not have access to a car or van, one of the lowest rates in the entire country. It will also, ironically, take the route of former railway lines, ruling out any return to that use. In April, the council’s Executive Committee committed another portion of money into developing plans for the road, in one of the final acts of the current Labour administration. However, speaking to A Thousand Flowers, the two candidates for the SNP in Dennistoun ward, where the road will cut through, have indicated an SNP administration could reconsider the project, pointing out their councillors supported a Green amendment to delay the project last year. Kim Long, the Green candidate for Dennistoun, went further in her condemnation of the road expansion. Both Labour candidates in the ward were also invited to comment but did not respond. With both SNP and the Greens promising to commit 10% of all transport spending to walking and cycling, it represents an opportunity to rethink how Glasgow does travel. Edinburgh City Council have set out to achieve similar over recent years, and the results have been sudden and dramatic. Over a decade, traffic on two key routes decreased by 28%, while bikes were up by a third at the same location. The SNP have set out an extensive wish list for Glasgow and it remains to be seen how far up the Subway project will come. What decision they take on the East End Regen Route may prove indicative of how committed they really are to boosting sustainable transport in the city. Will Scotland’s Transport Network Get Any Better in 2017?